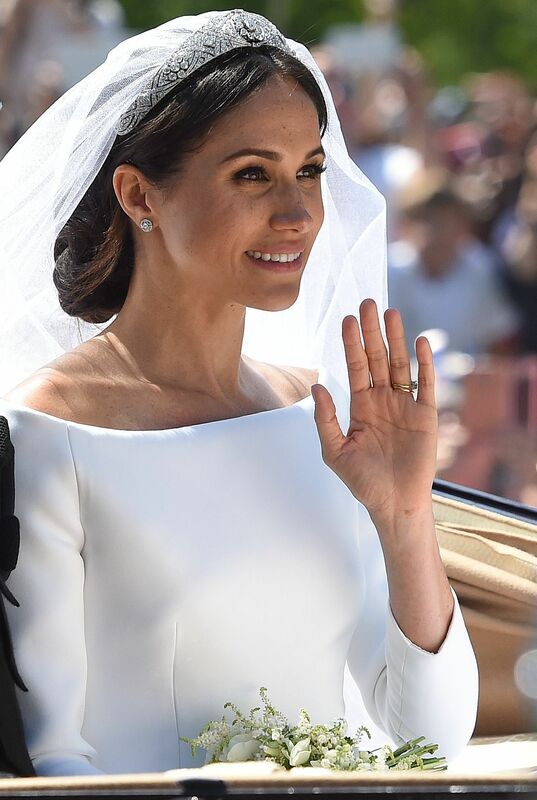 The pièce de résistance of her beauty look, of course, was Markle’s borrowed tiara. 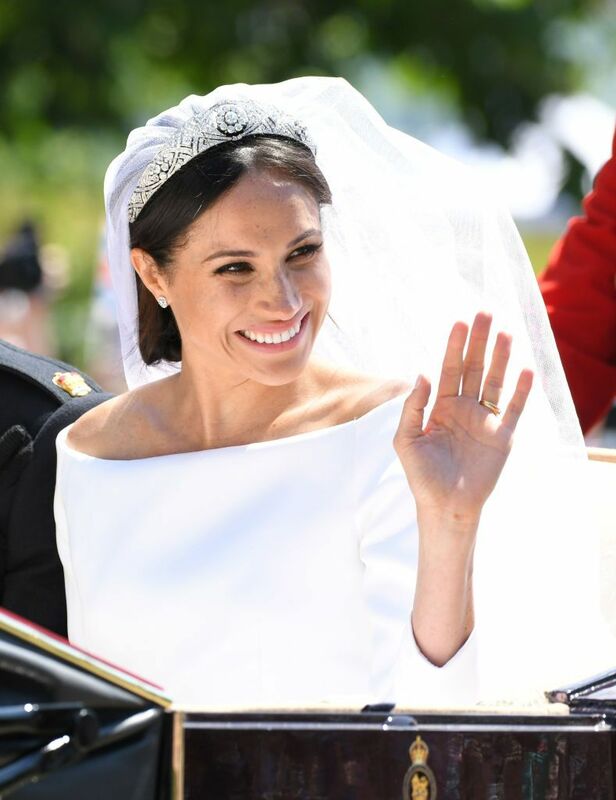 The new Duchess of Sussex wore Queen Mary’s Filigree tiara—a diamond antique piece featuring a brooch that dates all the way back to 1893. Originally belonging to Queen Mary, the tiara was inherited by Queen Elizabeth II in 1953. Normant said he found out about the tiara early last week, and was focused on making sure the veil and tiara were secure on Markle’s head and wouldn’t move around.